Pacific Investment Management Company LLC (PIMCO) has brought in veteran executive Ethan Schwartz as its newest Executive Vice President and Portfolio Manager, to help manage and oversee its Distressed Credit operations. 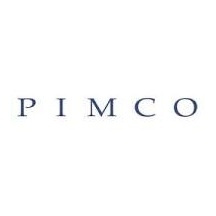 US-based PIMCO is a global investment management firm dealing with all sorts of asset-classes and instruments including credit, equities, fixed income, and foreign exchange. In a bid to solidify its Distressed Credit division, the group has named Ethan Schwartz as its Executive VP and Portfolio Manager, a role he has had nearly two decades of experience in. Before joining PIMCO, Mr. Schwartz served as the Senior Vice President at Contrarian Capital Management for over nine years where he specialized in distressed debt analysis. Prior to this, he also manned other executive posts at CRT Capital Group, Goldman Sachs, and even the US Treasury Department.